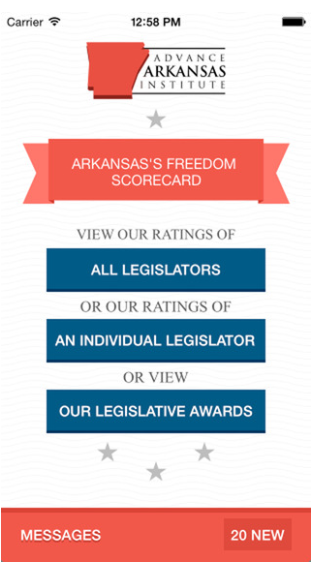 Last year, legislators voted by a wide margin to give Arkansans the chance to change the state constitution by approving tort reform. Now one of those legislators, Sen.
Trent Garner, has penned an op-ed that explains why he did so. Every TAP reader should check out what Sen. Garner wrote recently in the Democrat-Gazette. Ambulance-chasing lawyers who push the cost of medical malpractice insurance higher often prevent health-care professionals from practicing in rural Arkansas. Most attorneys in Arkansas are honest professionals. Unfortunately, because of the unfairness built into our civil justice system, we are targets for predatory lawyers and out-of-state ambulance chasers who only care about themselves. We basically pay a “lawsuit tax” because of the current system. This “lawsuit tax” is estimated to cost an average citizen $900 a year. It doesn’t pay for roads or better schools. The money pays for beach houses and expensive toys for greedy lawyers. The most painful cost is to our most vulnerable citizens. Hospitals are forced to stop providing services to those in need. The financial exposure from frivolous lawsuits puts our elderly veterans who need assisted living at risk of losing their homes. Fear of litigation does contribute to an implicit tax on consumers. We pay more for products and services because providers are fearful of lawsuits, something that causes them to take unnecessarily expensive actions to avoid these lawsuits. Senator Garner also discusses the dismaying trend in Arkansas for pro-life activists to do the bidding of trial lawyers in fighting Issue 1. As he touched on in the final paragraph above, fear of lawsuits impacts the medical profession, leading to a constriction in the supply of health care. For those who are truly pro-life, it seems to me that they should care more about expanding access to life-saving care instead of preserving high payouts for lawyers. 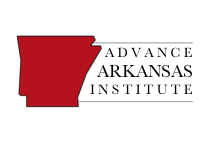 We have judges in Arkansas who legislate from the bench. In 2015, we passed a bill allowing young victims of sexual assault to have a comfort dog while testifying. To most Arkansans providing comfort to an abused child is the right thing to do, but Judge Wendell Griffen said no. He ruled in favor of the sexual abusers over the child. His ruling was made to maintain his power. This is unacceptable. A vote for Issue 1 restores power to you. It allows the people’s elected officials to act as a check and balance against activist judges. When judges use their procedural power to make public policy, there is a problem. We need checks-and-balances to prevent this from happening, and that is what Issue 1 would allow. It’s good to see Sen. Garner out there explaining why he and so many of his colleagues in the legislature supported giving Arkansas voters the chance to weigh in on this important issue. Totally false and misleading claims. Not a single citation to any claim. Pure propaganda. Kevin, it’s more convincing if you actually take the time to say what you disagree with. Blanket dismissals are not especially effective. And insisting that claims must have citations is just silly. 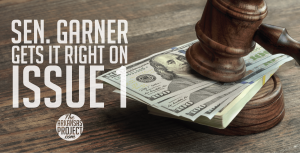 Sen. Garner published an opinion piece in a newspaper, not an article in a law review.